Welcome to this week's edition of Frugal Friday! So glad you're here! Fall is in full swing and for this week's Frugal Round-up, I have some great fall-inspired projects. And a kitchen makeover...because y'all know how much I love a good kitchen makeover. 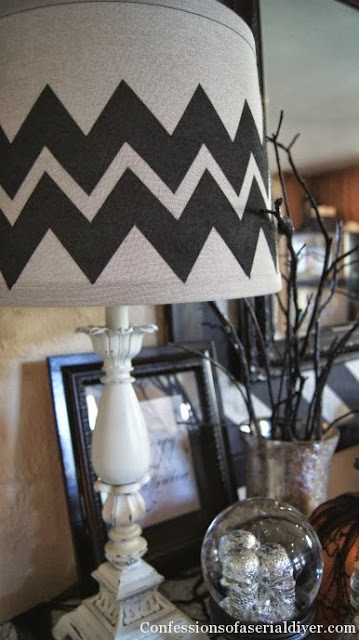 First up, would you believe this adorable chevron lampshade is a DIY?? Well, it is, and Confessions of a Serial Do-It-Yourselfer will show you how. I love pumpkin topiaries. And I couldn't believe how simple this one was to make...and how great it looks! Check out how Therena did it on Little Bit of Paint. Finally, you know I'm a sucker for a white kitchen, right? 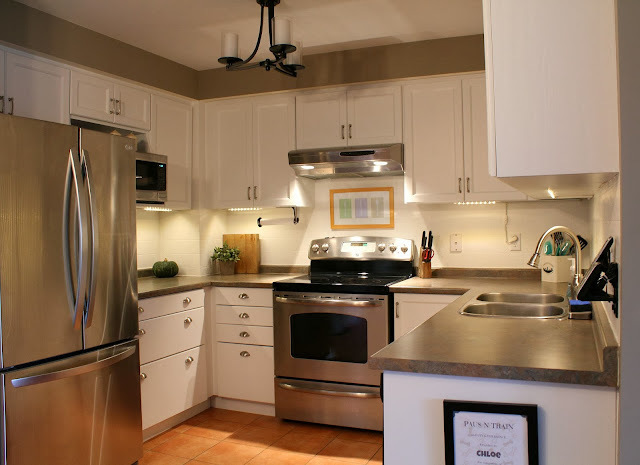 Check out the before and after on this amazing kitchen makeover by Turtles and Tails. Love. it. Thanks so much for the party Wendy!!! Thanks for the party as always, Wendy! What a wonderful party! Thank you for hosting and hope that you enjoy the weekend! Thx for the party, Wendy...hope you have a great weekend! Love that shade! Thanks for hosting! I am so happy to have found you and your lovely blog! Just joined your marvelous party! 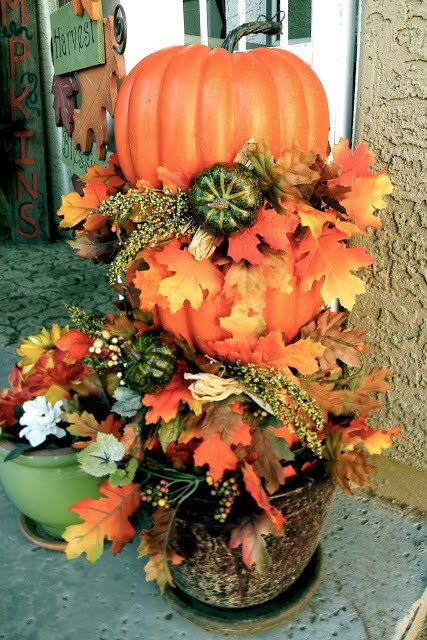 Thanks so much for featuring my pumpkin topiary, and for hosting! Have a great weekend! Have a great weekend. Thanks for a great party. Thank you for featuring our kitchen makeover! We're so glad to have it finished, and now we can enjoy it! Thanks so much for hosting such a great party, Wendy!!! Wendy, thank you for hosting a great party! Hello I am a new follower and this is my first time linking up! Hope you will stop by and visit me sometime at my blog, Junkaholics Unanimous. Thanks for hosting the party!